Lane Bryant is the most recognized name in specialty fashion apparel. Knowing that style is not a size, the Lane Bryant woman has a youthful attitude and self-confidence with a desire for fashion that fits and flatters. 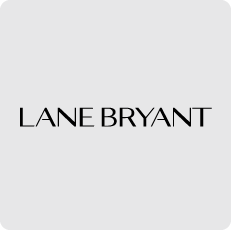 Lane Bryant exceeds her expectations by providing the latest styles, silhouettes, fabrics and accessories, making Lane Bryant the premier choice for curvy women everywhere.